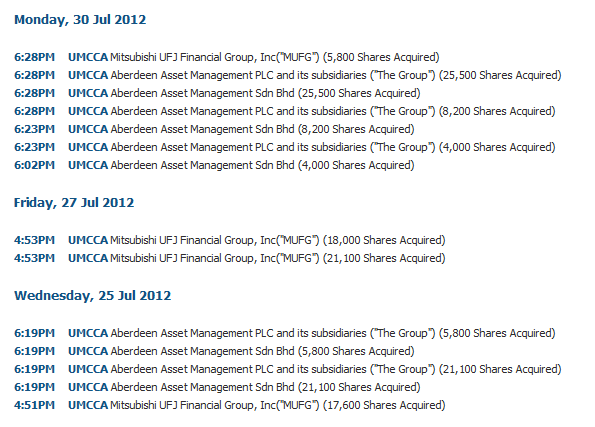 UMCCA (2593) is trading above MA20 support level. 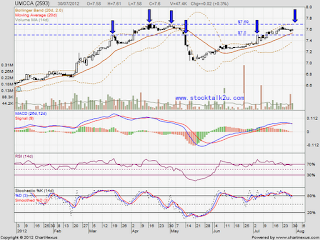 Will it break through RM7.69 resistance level? 2. Stochastic %K pending trigger BUY call. 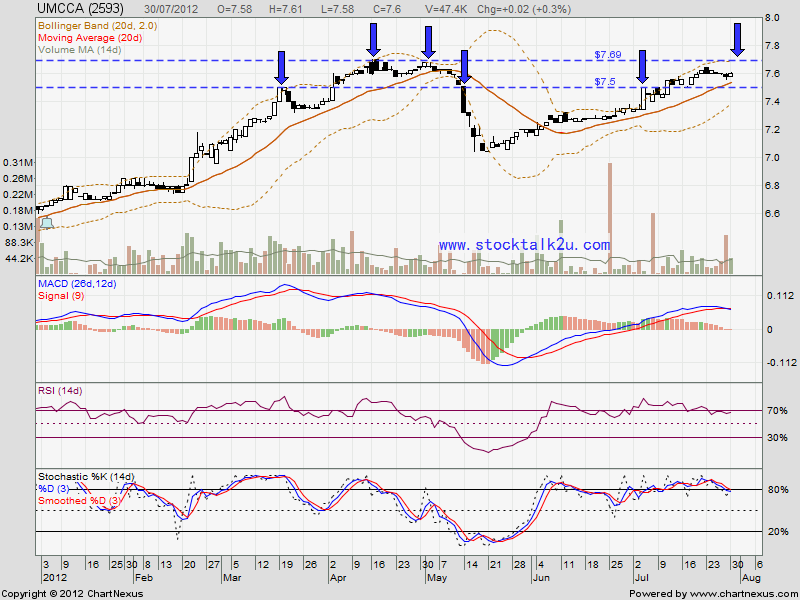 In view of insider keep acquired in huge volume,high potential break through RM7.69 resistance level & go higher. 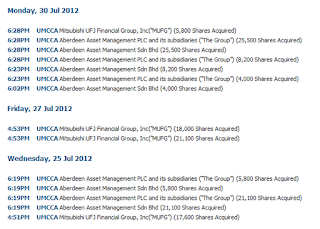 Can you pls do TA on GenM and Maxis.